For Fall/Winter 2010 the Ugg brand injected their collection with some city girl swag and produced a suede, perforated scrunch boot, that I totally adore. 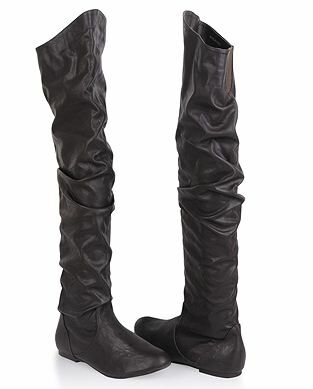 This boot is available in colors, deep cobalt, sand and black. Price - $200. I purchased the top pair of boots from Nordstrom last fall and Mine were in a dark brown similar to the classic ugg color 'chocolate' They are super comfortable and I LOVE THEM! I know this is a late comment but I stumbled upon this when I was looking for a photo of the boot to send to my friend.